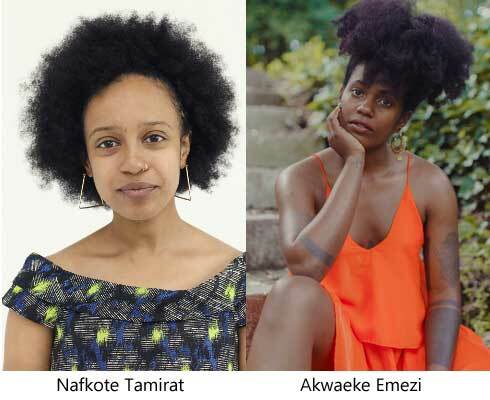 Akwaeke Emezi and Nafkote Tamirat are the African writers on the New York Times 100 Notable Books of 2018 list announced on November 19, 2018. The New York Times is one of the most important newspapers in the United States. Apart from being a publication that covers news, they came up with the New York Times Bestseller List starting in 1931. Since then, the list is widely considered to be the granddaddy of best-selling books in the United States and around the world. Alongside their weekly bestsellers lists a “100 Notable Books of the Year” list is published toward the end of the year. The year’s notable fiction, poetry, and nonfiction are selected by the editors of The New York Times Book Review representing books that have been reviewed in the past year. In 2017, Peter Kimani, Ayobami Adebayo, Nnedi Okorafor, and Trevor Noah made the list. This year two novels by African writers are in. Akwaeke Emezi has in the past been the African regional winner for the Commonwealth Short Story Prize 2017, made Center for Fiction’s First Novel Prize 2018 longlist and named in the US National Book Foundation top “5 Under 35” 2018. The Parking Lot Attendant by Nafkote Tamirat. Nafkote Tamirat has made the Center for Fiction’s First Novel Prize 2018 longlist. You can read the other books that made the cut here. Previous Previous post: Three Africans on Dublin International Literary Award 2019 longlist. Next Next post: Chimamanda Ngozi Adichie for Abantu Book Festival 2018.